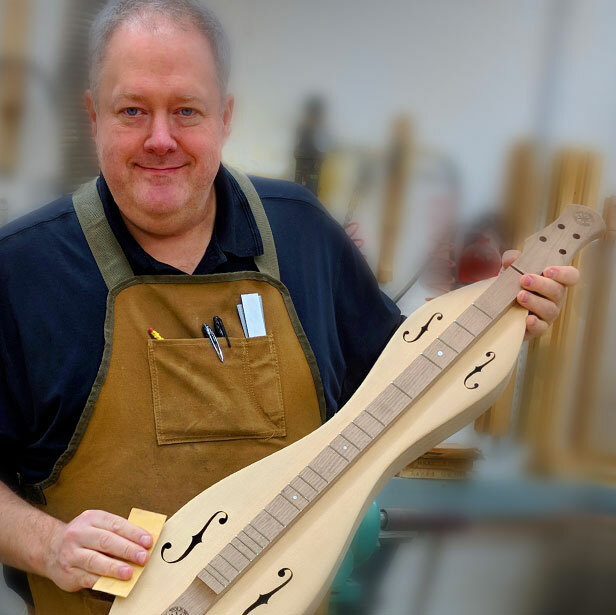 We spoke with Richard Ash from Folkcraft Instruments about the dulcimers his company has built since 1968. 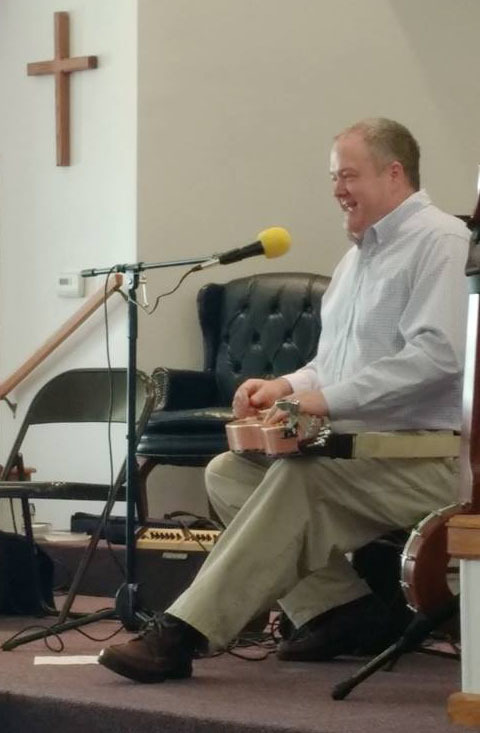 With music played on Folkcraft dulcimers from Bing Futch, Stephen Seifert, John and Karen Keane, and Wendy Songe. Richard Ash performs and teaches at festivals all over the country. This photo is from the Arkladulcifest in Benton, AR (2017). Photo by Cindy Fong. 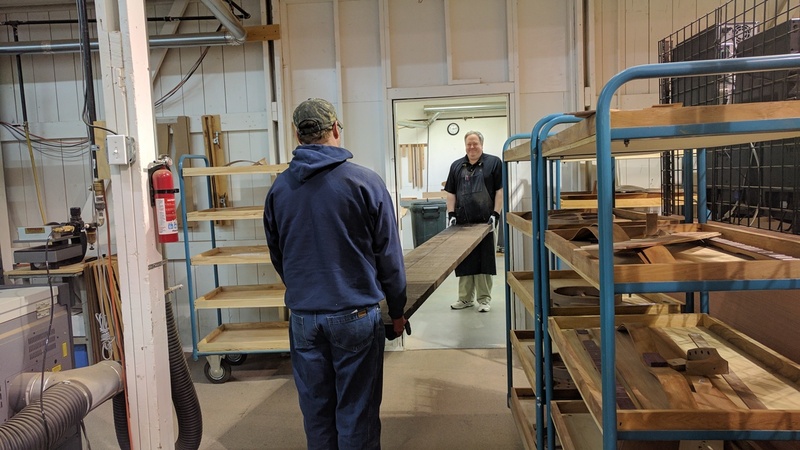 Richard Ash is carrying, with help, a plank of walnut from the wood storage area into the Folkcraft workshop. 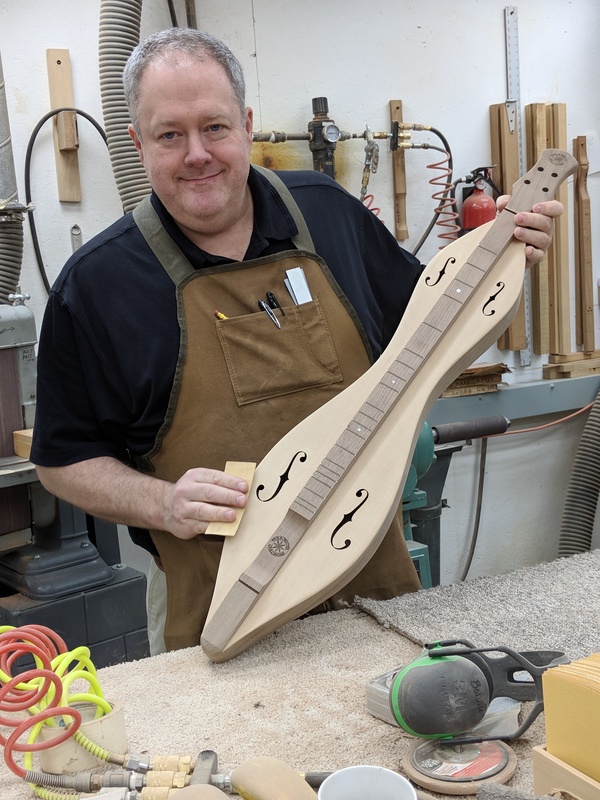 Richard Ash is putting the finishing touches on a FolkRoots mountain dulcimer. Hand sanding is a big part of making an instrument feel good to the player's touch. Working on the guts of a power tool is part of the job. 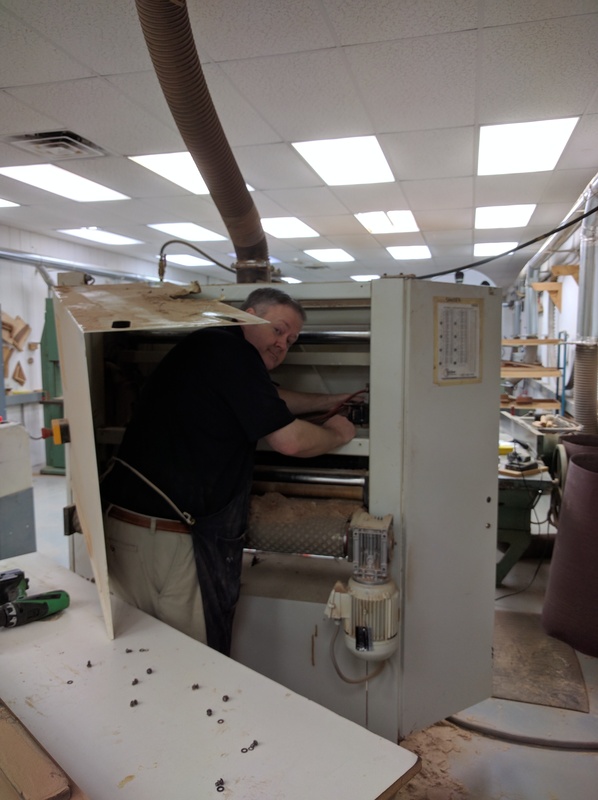 In this photo, Richard is repairing a belt sander. 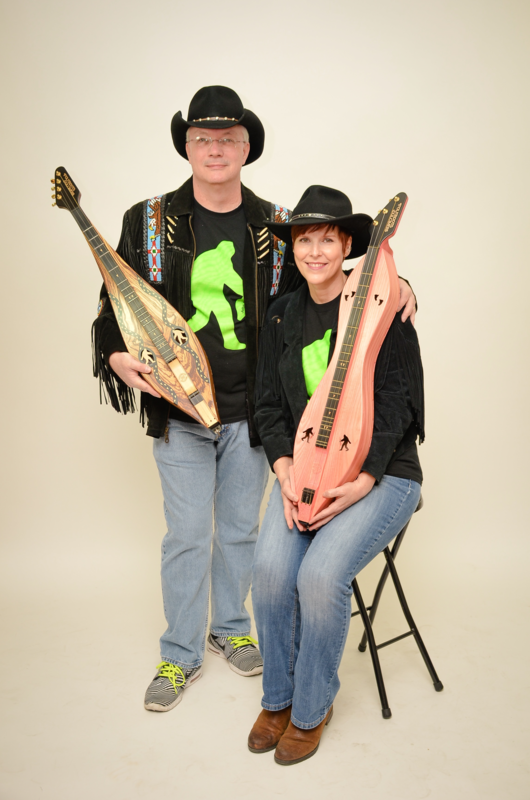 John and Karen Keane with their custom-made Big Foot themed Folkcraft dulcimers. 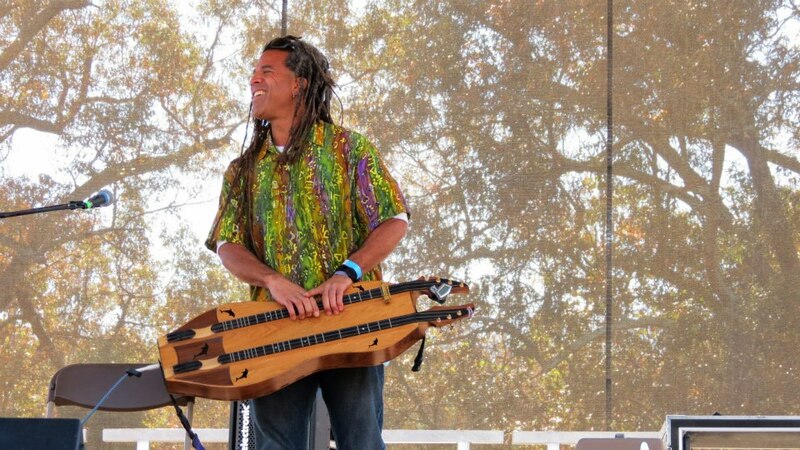 Bing Futch with his signature Folkcraft double-dulcimer. 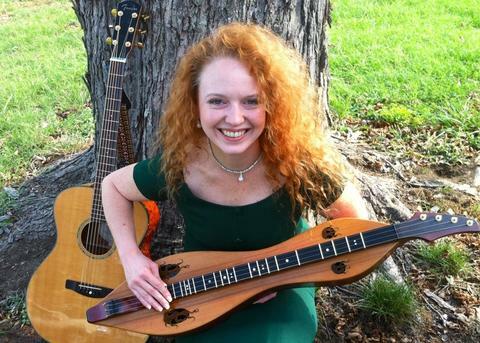 Wendy Songe with her Folkcraft dulcimer. 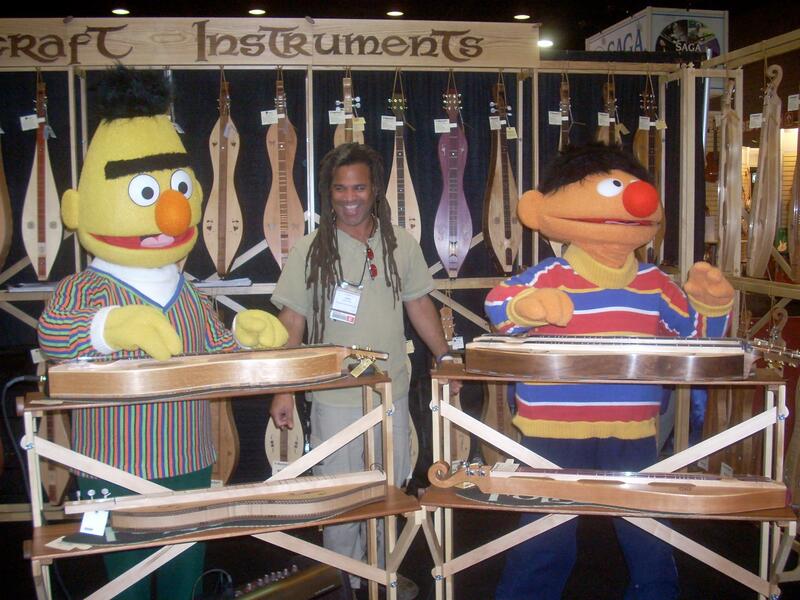 Bing Futch in a Folkcraft Instruments booth with a couple of old friends.